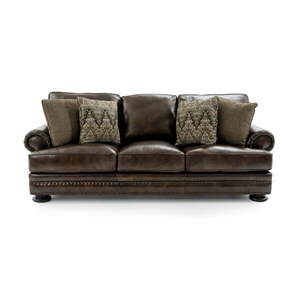 Traditionally detailed, yet with a clean, casual look, this stationary sofa is an elegant living room centerpiece. 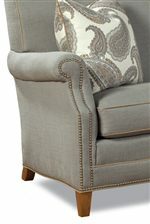 Beautiful nailhead trim and welt cord tailoring bring a formal, sophisticated touch. 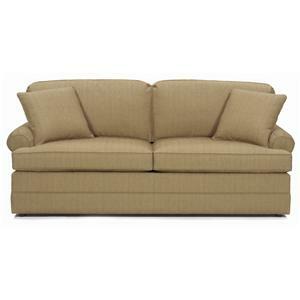 Tight back cushions with ultra plush seat padding combine to bring you the perfect comfort level seat. 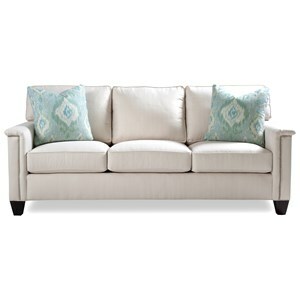 Set-back rolled arms, two accent pillows, and exposed wood feet complete this charming sofa for piece that will enhance the beauty of your home. 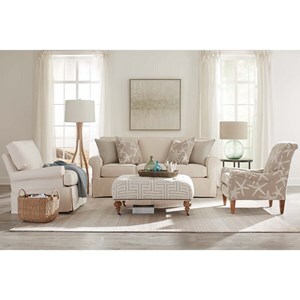 Pair with the matching arm chair for complete seating. 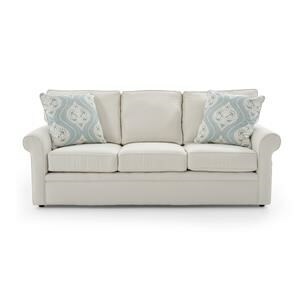 Available in a variety of upholstery options. 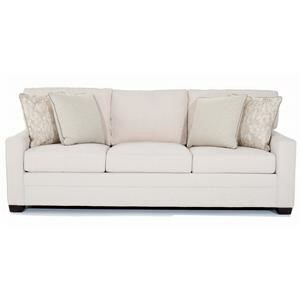 The 7436 Casual Elegant Stationary Sofa with Nailhead Trim by Huntington House at Baer's Furniture in the Ft. Lauderdale, Ft. Myers, Orlando, Naples, Miami, Florida area. Product availability may vary. Contact us for the most current availability on this product. 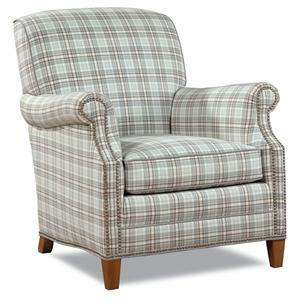 Tailoring Each frame is upholstered by an experienced craftsman with great attention to detail. Layers of cotton batting and pre-formed rubber are used throughout the frame for unseen form and luxurious comfort. Many frames are standard with accent nails which are meticulously applied one at a time by the hands of an experienced craftsman. 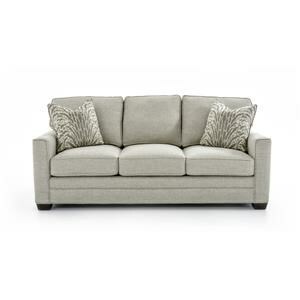 The 7436 collection is a great option if you are looking for Casual furniture in the Ft. Lauderdale, Ft. Myers, Orlando, Naples, Miami, Florida area. 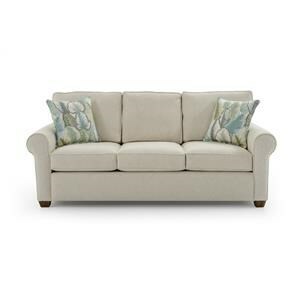 Browse other items in the 7436 collection from Baer's Furniture in the Ft. Lauderdale, Ft. Myers, Orlando, Naples, Miami, Florida area.